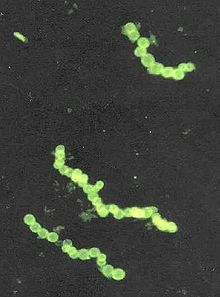 The Thiotrichales are an order of Proteobacteria, including Thiomargarita namibiensis, the largest known bacterium. They also include certain pathogens, such as Francisella tularensis which causes tularemia (rabbit fever). ^ a b c d "Thiotrichales". www.uniprot.org. This page was last edited on 19 May 2018, at 13:24 (UTC).